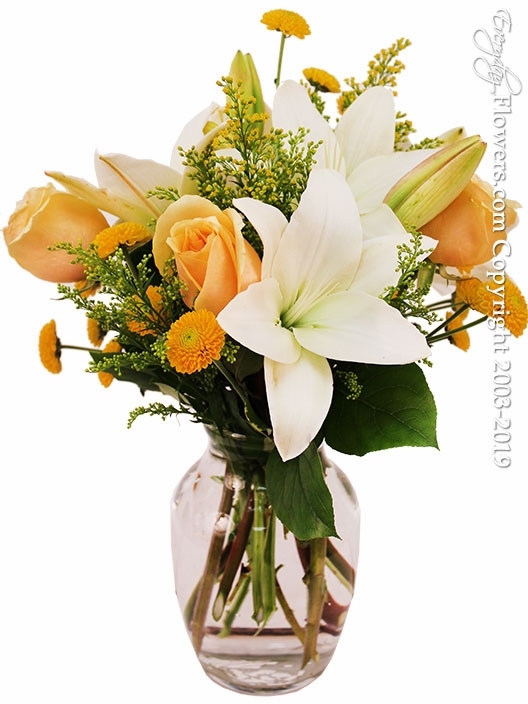 Yellow roses white lilies yellow button chrysanthemums arranged in a glass vase. Measures 14 inches by 6 inches. Available for delivery by Everyday Flowers located in Orange County California.